I bought mine from Screwfix for £6.99 but you can find this product (or one very similar) in most DIY stores. You get the folded plastic film, a roll of narrow double-sided tape and a clear set of instructions. It’s worth reading the instructions carefully. It wasn’t until after I’d cut my first sheet of film to size and attached it to the window frame that I realised it was double-folded… Halfway through sealing and shrinking the film with my hair dryer, I noticed the second layer flapping freely. It’s a bit of a time-saver though, when you have identical window frames to cover. I do wish they’d provide some better instructions on how to measure out and cut the film, though. A sharp knife or a pair of scissors will do but this isn’t a sheet of plywood; thin plastic will not hold its own against the force of gravity. I didn’t do the neatest of jobs in applying the film (very wrinkly in the corners and edges) but most of that gets cleaned up with the hair-dryer treatment. At the top of this page, you can see my living room window with the film applied to the bottom half but not to the top half. 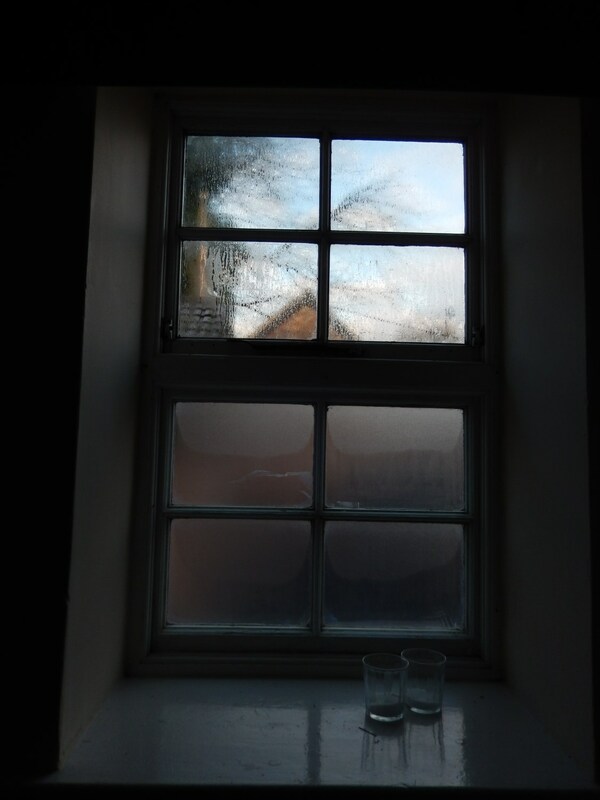 Just above, you can see the same arrangement on the bathroom window (which also has privacy film covering the lower glass). 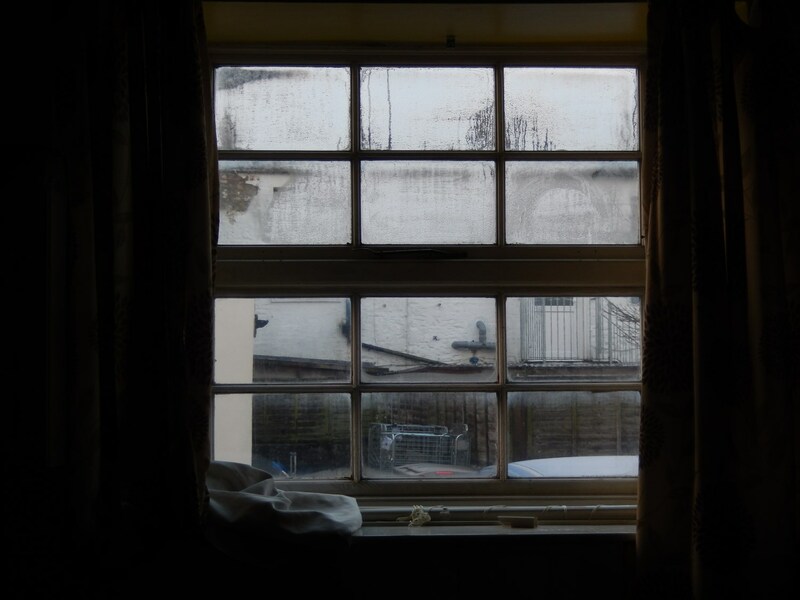 One thing that’s for certain is that this film does reduce the formation of condensation on single-glazing. As I’ve since discovered; water molecules can reform if you don’t do a neat enough job of applying the film (or, if you trap moisture in behind). But my bathroom is slightly less chilled; my bedroom retains an improved temperature. Even with a layer of film applied to the top-half of the living room frame, it’s a bit chilly but that’s very much because the window doesn’t close properly. If you’re living in rented accommodation and lumbered with single-glazed windows then I would recommend you give this a try. It’s a seasonal attachment, meaning it would probably need to be renewed (replaced) for the next winter.